A patient, Sharon, went to a breast surgeon with a small blemish on her breast. It turned out to be nothing, but during her examination the surgeon discovered, in a totally different part of Sharon’s breast, a suspicious lump and advised surgery. 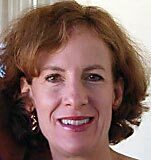 Sharon, an intelligent, articulate woman, believes that physical ailments can be overcome by healing energy. So she decided to defer surgery for two months and first try herbs and alternative therapies. Before leaving the surgeon’s office, however, Sharon asked, “Doctor, what was that blemish that brought me here in the first place? Sharon had surgery the next morning. The diagnosis was cancer. Sharon’s surgeon’s skill as a communicator, as much as her surgical skills, saved Sharon’s life. Sharon’s surgeon is one of the thousands of physicians who have been trained on Kaiser Permanente’s Four Habits Model, a communication-skills framework. In my last article I wrote about improving the patient-doctor visit through mindful awareness. Kaiser Permanente (KP), one of the nation’s largest not-for-profit health care providers, is doing just that. KP is training clinicians to be more fully present and engaged with patients through transforming the long-held, but poorly-used, office visit staple — the medical interview. Kaiser Permanente is teaching physicians communication skills. Kaiser Permanente newly-hired and long-standing clinicians have the opportunity to experience the Four Habits Model in a half-day, one-day or four-day intensive workshop. On average, physicians conduct 120,000 to 160,000 medical interviews — the conversation that takes place during an office visit — in their practice lifetime. Yet often physicians don’t think to ask questions beyond the scope of a patient’s immediate problem. The medical interview is primarily task-oriented. As a result patients often don’t think to offer, or may feel too intimidated to volunteer, sometimes-critical information. The very information that creates more accurate diagnoses and more effective treatment plans. In 1990, Terry Stein, (pictured) an Internal Medicine physician at Kaiser Permanente in Northern California, led the effort to create a one-day workshop that offered physicians training and tools to specifically deal with patients who were angry or wanted tests or treatments the physician felt were not in their patient’s best interest. It struck a chord. Over the next few years Stein and her colleagues crafted a practical approach to help physicians use the skills they were learning consistently. That resulted in the Four Habits Model. The Four Habits Model is based on a high-quality conversation and a collaborative partnership. “Just one simple lesson of the model,” Stein says, “is reminding clinicians of the importance to talk to patients in their own terms, not in our medical jargon. Another result is patients feel seen and heard. Given the time constraints many physicians feel they don’t have time to conduct visits this way. Yet a research study by the University of Western Ontario shows that physicians who are sensitive to, and explore patients’ emotional concerns, on average take one minute longer to complete visits. Tracking results in patient satisfaction for more than 10 years, Kaiser Permanente has seen a significant rise in patient satisfaction among patients who see physicians trained in the four-day intensive workshop. Also, patients who see physicians who haven’t been exposed to the Four Habits Model, but display similar behaviors, are more satisfied than patients who see more task-oriented physicians. Dr. Stein’s quiet communication revolution that began 20 years ago has only gained increasing support within Kaiser Permanente. 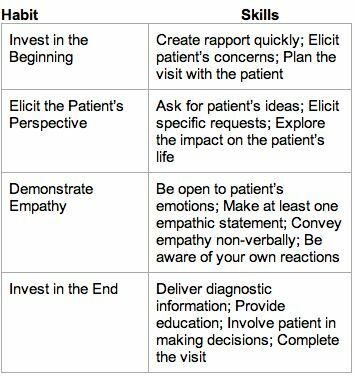 Over the past five to 10 years KP has held communication programs for all of its doctors in Northern California and an adapted version of the Four Habits Model is part of leadership training and graduate medical education for residents. Over the past year and a half Kaiser Permanente has also been using the model’s principles among its Northern California medical staff employees — doctors and support staff — to help them work together as a team and treat each other with greater empathy. The Four Habits Model has been taught by numerous other organizations including the Cleveland Clinic and Indiana University School of Medicine and made its way to Europe in Norway and Germany. Remarkably, no money has exchanged hands, just a sharing of the model. Clinicians who’ve taken the four-day intensive workshop report that they are more confident, more fulfilled, experience greater professional satisfaction and are less stressed by using the skills of the model. Improved health outcomes are associated with behaviors consistent with the Four Habits Model. Most patients report knowing their doctor cares is as important to them as what their doctor knows. I am left wondering. Why aren’t more organizations doing something similar? One last thought. As chronic illness in particular increases in America, how patients are treated is, and will be, as important as the treatment itself. Neither Dr. Stein nor anyone at Kaiser Permanente has asked me to write this article. This is a great post Riva! I was so surprised to hear that the appointments, on average, only took a minute longer! I would have thought the time needed would have been almost double or more! The power of communication is pretty amazing.